I am Unglish - sister-hood magazine. A Fuuse production by Deeyah Khan. In July 2010 Pakistan was shaken with extreme floods across the country with devastating impacts. 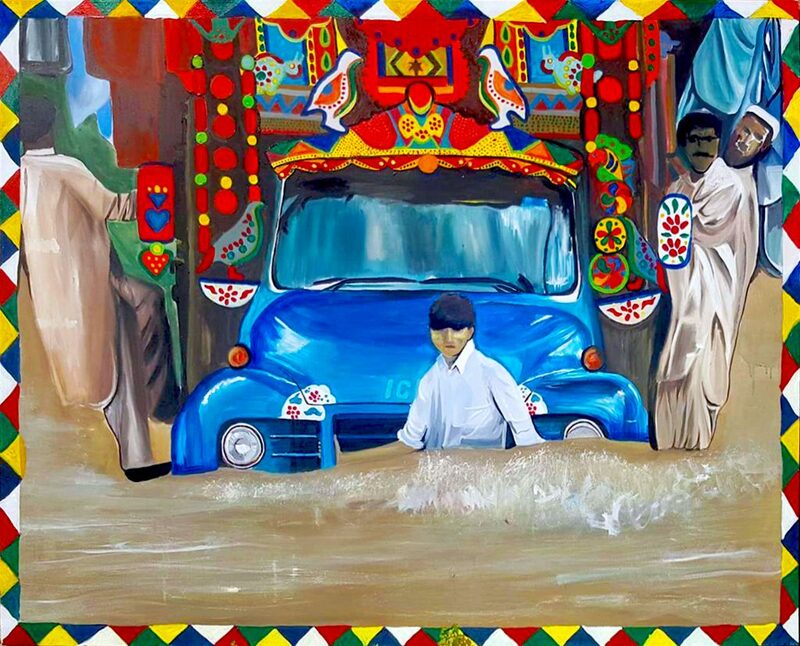 I felt this image of a Pakistani truck serving as a pillar of strength and form of transport, even when half submerged in water, showed the resilience of the people – and I had to paint it. 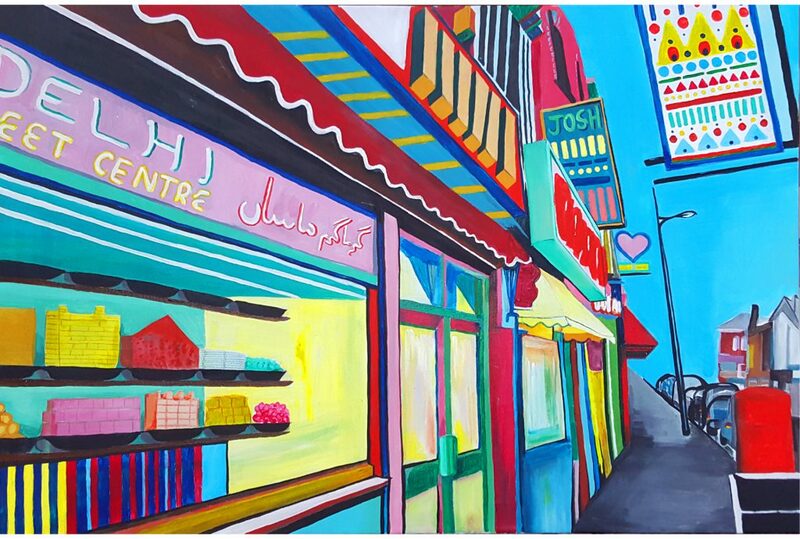 South Asian mithai sweets are displayed in delightful patterns in shop windows; this sweetness is carried onto the street, and into your home. 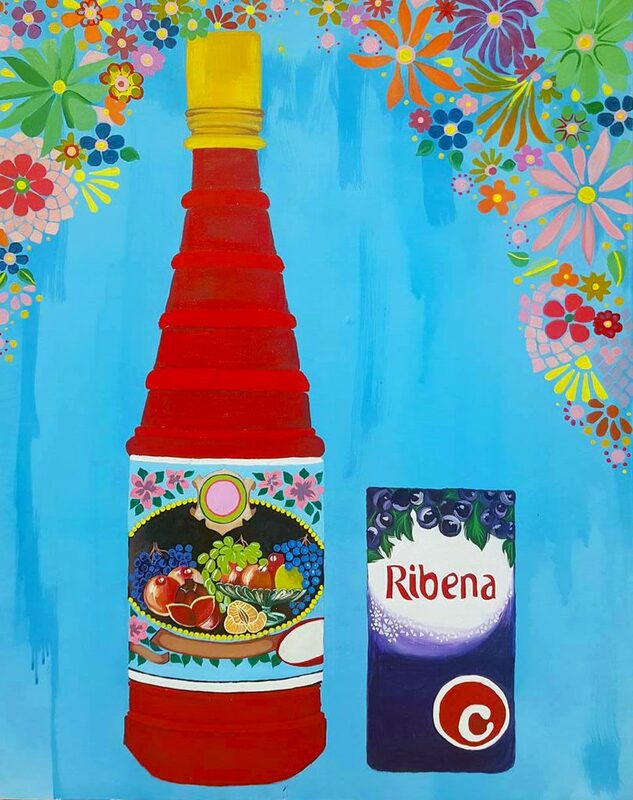 No happy occasion goes ungarnished by these colourful treats. 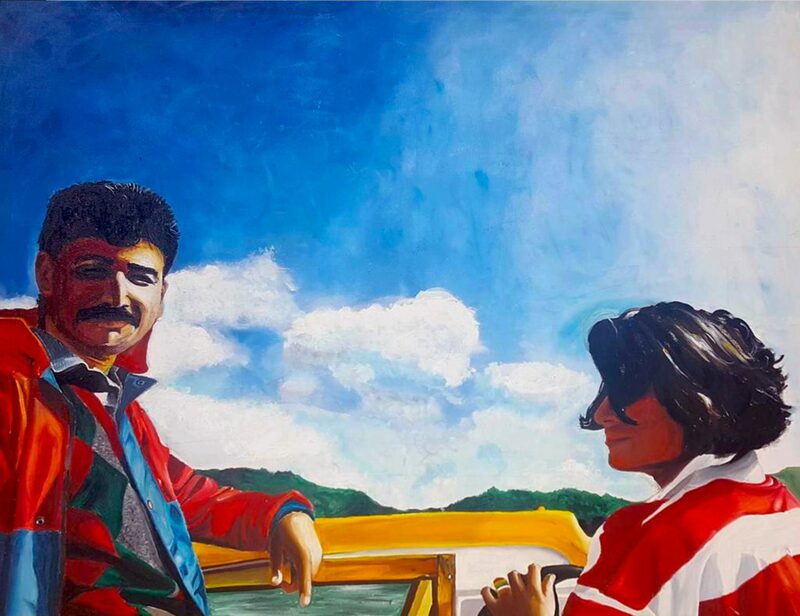 My Pakistani parents enjoying their honeymoon in the Lake District, totally unaware that they would be migrating to the UK just a few years later. 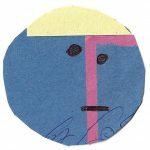 Their three children were to have an identity muddled and mixed to create the Unglish hybrid. 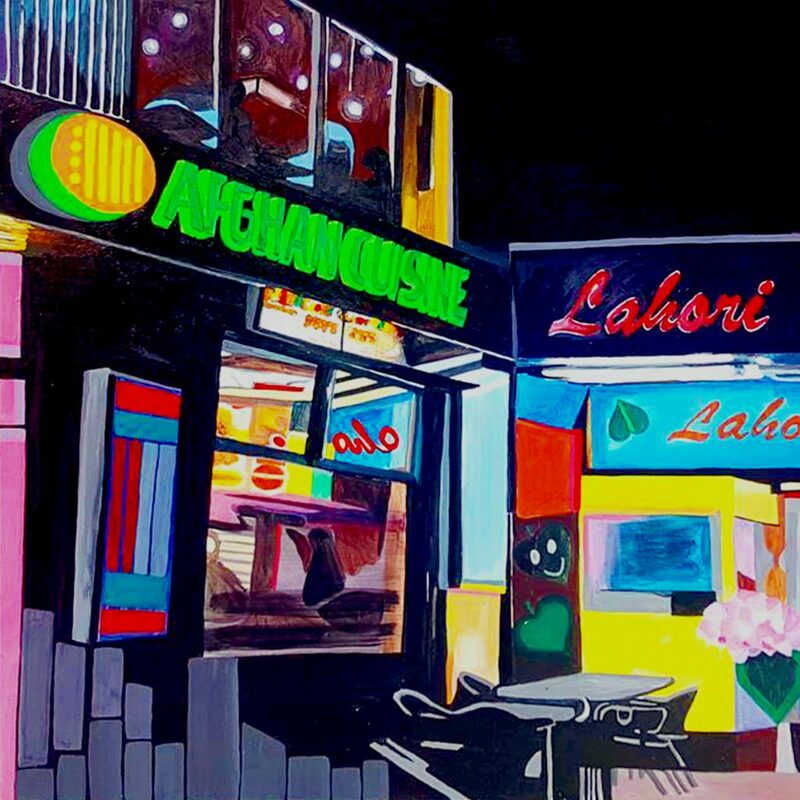 A scene from wilmslow road, better known as the ‘curry mile’ – shining bright in the dark night are two restaurants with their bold neon lights. 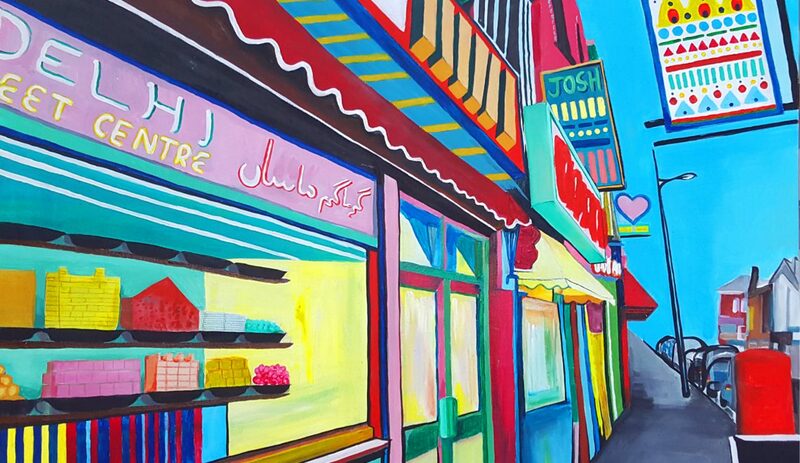 An example of how cultures from across the world are united on this legendary road in Manchester. Two sugary drinks found in my kitchen, one very Pakistani and one British. I compare their similarities and differences alongside each other. It seems they’re not so dissimilar. 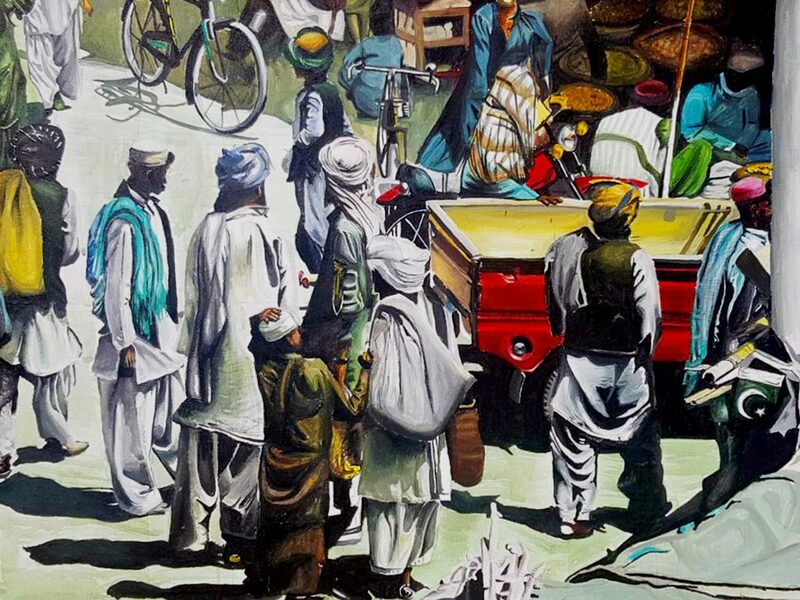 A depiction of a bustling market street in Pakistan. A familiar sight on visits to Lahore during our family holidays; the pungent smells, beeping sounds and lively scenes always remained engrained in my memory once we were back in England. 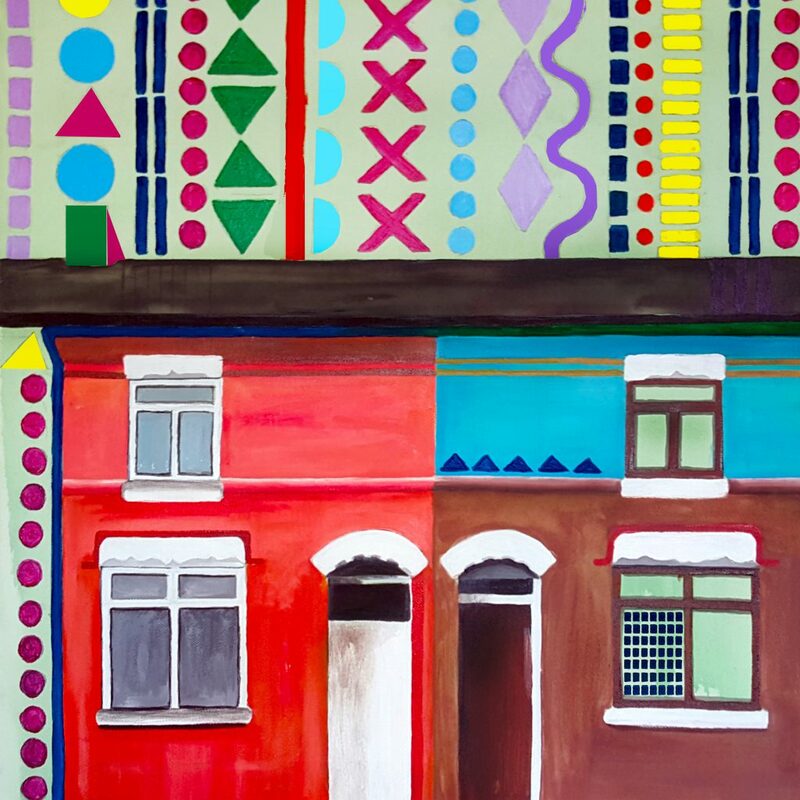 A street in Moss Side embellished with a pattern representing arts from the cultures of the community of people residing there.